With the calling and sustaining of BYU-Idaho’s president, Henry J. Eyring, as an Area Seventy, many are wondering what this calling entails. There are two types of Seventies: General Authority Seventies and Area Seventies. In The Church of Jesus Christ of Latter-day Saints, General Authority Seventies have the authority to serve anywhere in the world. General Authority Seventies are members of the first of eight Quorums of Seventies. The remaining Quorums are made up of Area Seventies, and, according to the Church, their authority is generally limited to the area where they serve. President Henry J. Eyring will belong to the Fifth Quorum of the Seventy, just as his predecessors Elder Kim B. Clark and Elder David A. Bednar, who also served as presidents of BYU-I in addition to Area Seventies. BYU president Kevin J. Worthen currently serves as an Area Seventy. In addition to serving as the president of BYU-I, President Eyring will assume the responsibilities that come along with his new calling. General Authority Seventies, along with Area Seventies, travel within their assigned area to teach and encourage local leaders and members of the Church, according to the Church. As part of being an Area Seventy, President Eyring will consult and instruct stake presidents in the area under direction of the Area Presidency or Presidency of the Seventy. 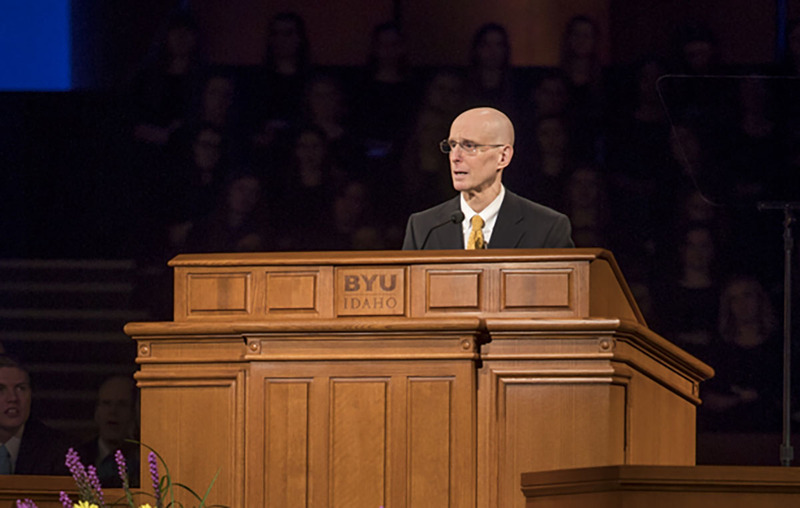 President Eyring became the 17th president of BYU-I in April 2017, following Clark G. Gilbert who transitioned to become president of BYU-Pathway Worldwide. President Eyring spent time as a child in Rexburg; his father, President Henry B. Eyring, served as the president of then Ricks College. As an adult, Henry J. Eyring returned to the BYU-I commuinty to serve as associate academic vice president over online learning, advancement vice president, and academic vice president. before his assignment as president.